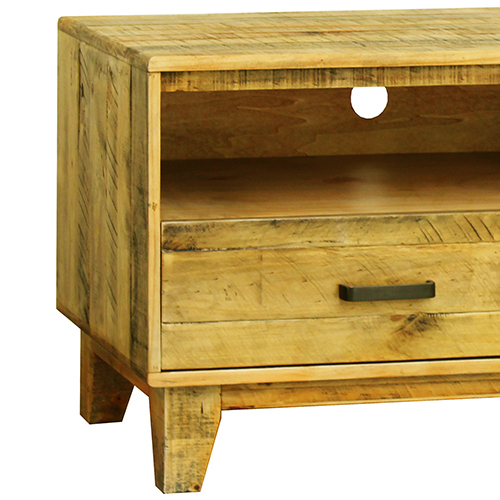 Woodstyle TV Cabinet has been made of pine-plywood construction which makes it strong and durable. 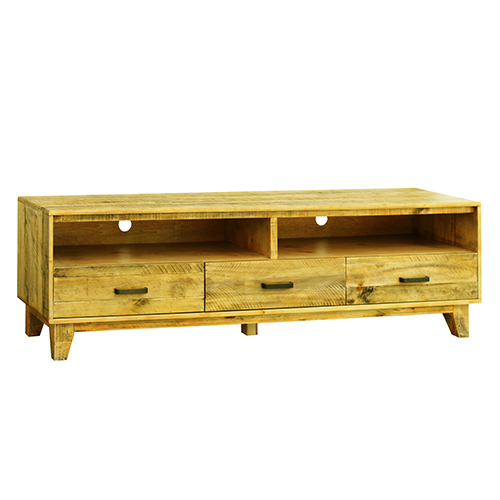 Made from pine-plywood frames, it has a rustic look that will provide you a feel of nature. 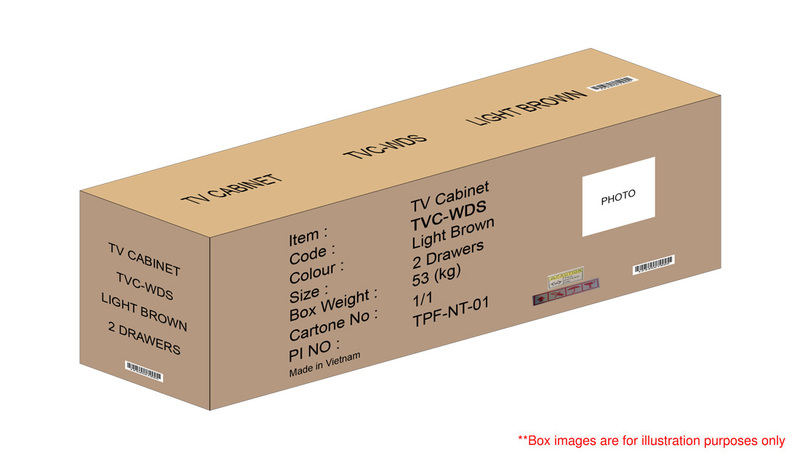 This TV Cabinet would be a smart choice to decorate your home without breaking your bank. 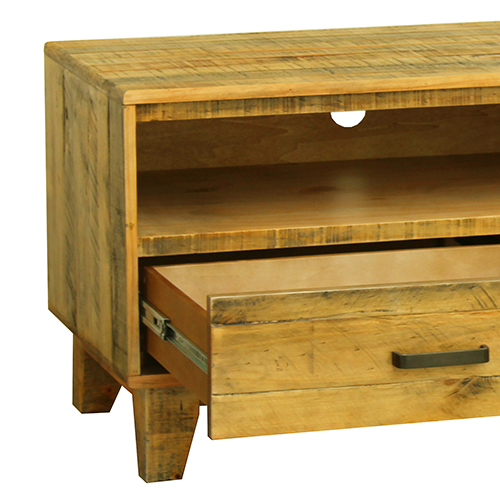 Coordinate it with other pieces from the Woodstyle series for a complete look. 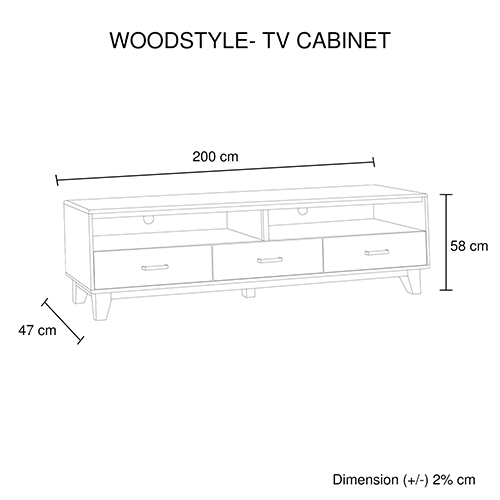 The entertainment unit comes with two drawers for stowing your entertainment consoles. 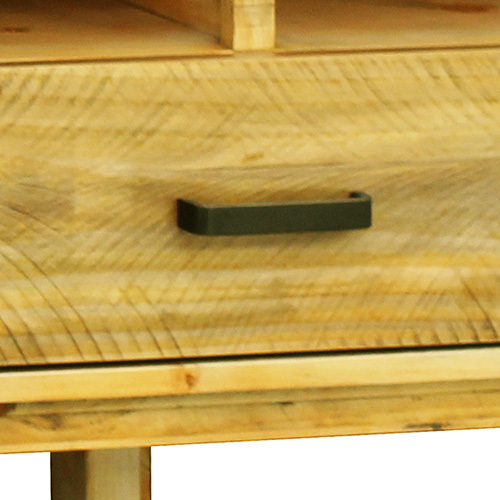 Besides the drawers, it also has storage shelves. Spacious yet discreet design accommodates both LCD and Plasma screens and most AV equipment, including set-top box, DVD/Blu-ray player, games consoles, DVDs, CDs etc. You can also use the shelves as display corners to enhance the look of your living room. 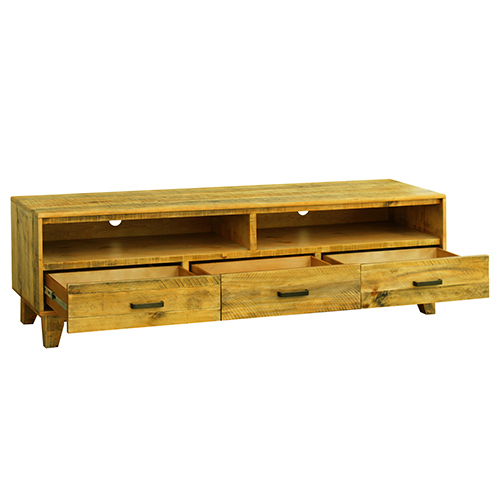 Woodstyle TV Cabinet is elevated with strong and sturdy wooden legs which mount it firmly with the ground. These also keep it high from the ground which enables you to clean away the dirt and dust underneath.